Innovation everywhere. Innovation in the news business. Innovation in social media. Innovation (and creative destruction!) in presidential political communication. Innovation in the topics and methods of scholarly research. Innovation as a keyword and a buzzword. Innovation as an ideology and a sign of the times. Things are different, to put it mildly, than they used to be. When we talked over lunch at a 2013 symposium on “Data Crunched Democracy,” organized by Daniel Kreiss and Joseph Turow at the University of Pennsylvania, we could not help but shake our heads at how much had changed since we had started our research into news and journalism. We marveled at how a domain of inquiry that until recently was seen as a somewhat specialized area within the larger field of communication was generating an unprecedented amount of scholarship. All the while, the questions, theories, and methods for studying journalism were also changing, spurred in part by the challenge of the evolving news environment. Yet the frantic pace of knowledge production had somewhat prevented scholars to engage in a collective process of sensemaking about what had been accomplished and what might lie ahead. Alternative modes of telling the story often afford novel arguments while rekindling the passion for the craft. Diversity and conflict are a source of strength and innovation for both newspeople and researchers. Nostalgia, in either journalism or the academy, is not productive; the present moment is ripe for reflecting on the past as a way to imagine new futures. For over a decade, media organizations have been experimenting with alternative modes of presenting information and telling stories. From The New York Times’s exemplary “Snow Fall” to Politico’s recent article on media bubbles, taking advantage of the resources available in the digital environment has become a mantra of the news business. It has pushed journalism in some great directions. One thing that we learned in the process of putting together Remaking the News is that scholars also ought to find new ways to present information and make a case. In particular, we discovered the renewed potential of the essay format that this edited volume embraces. We do not propose that this become the default genre for scholarly communication. But we found out that it fostered intellectual creativity and joy in ways that we do not normally see in the process of writing the dominant genre, namely the journal article. These types of articles are to academics what the straight news format is to journalists: effective and easy to write templates that convey the essence of complex arguments to audiences increasingly swamped with information. But like all good formulas, they run the risk of becoming, well, formulaic, and sapping creativity and enjoyment from the craft. 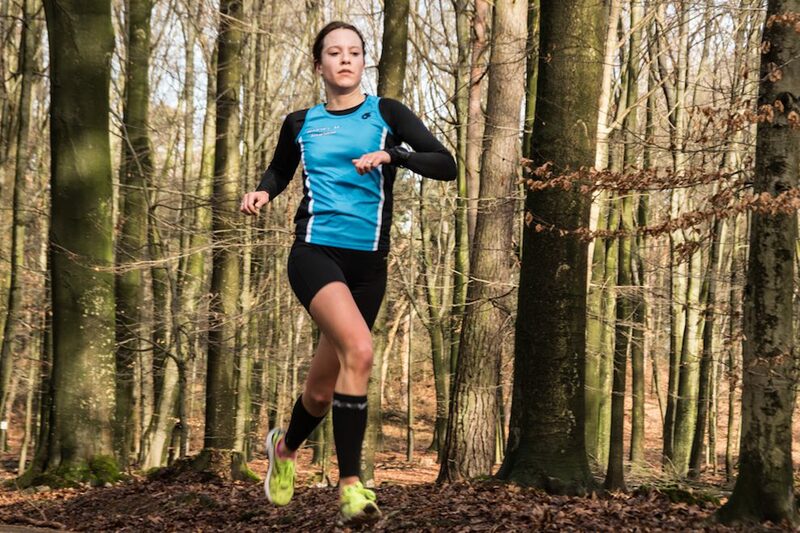 They can become, to use an exercise analogy, the treadmill option for runners. Living in Brooklyn and Evanston, we are both familiar with the pleasures of winter, and know all too well that during the colder months, in order to stay in shape, you have to take the running inside, into the gym and onto the treadmill. Writing a peer-reviewed journal article, in our experience, has increasingly become the treadmill running of scholarly writing. It is necessary, practical, beneficial, generates valuable information exchange, and often invites a form of argumentation that serves the process of analysis well. Not doing it would leave you incapable of getting off the couch once winter has drawn to an end. But it is often overdone. The corporatization of the academy, like the increased bottom-line concerns in the news business, has led to an ever-expanding pressure to publish larger and larger numbers of articles. New journals pop up from one season to the next like wild mushrooms in the forest, and the existing ones move from publishing four times a year to doing it eight times a year. Concurrently, search and promotion committees expect longer lists of publications from scholars. All of this has turned a whole lot of academic life into what Dean Starkman called, referring to the news business, the hamster wheel: It keeps you in shape but takes the fun out of exercising the mind. Which is why, in part, in the process of editing Remaking the News, we found that writing an essay has become more like a long run through the woods, particularly one you take in the sun on one of the first days of spring. Without getting too maudlin about it, we discovered that by virtue of its fewer genre constraints and its implicit openness, essay writing clears the head, generates creative new approaches to old problems, and gives authors the freedom to draw on our earlier exercise regimen — that is, the journal articles that have been put through their disciplinary paces — in order to push scholarship in new directions. As editors, it was remarkable to see the level of enthusiasm, commitment, and risk-taking among our authors — something which is quite different from what we experience and hear about the journal publishing process. Just as journalists are embracing new ways of telling the story, then, we encourage academics to think about new ways of making a case and communicating their ideas. We encourage hiring and promotion committees to adapt their practices accordingly. The digital age has seen an explosion in different communication modalities and platforms. Much of this work goes beyond the essay format, of course, ranging from social media writing to the interactive visualization work increasingly common in the digital humanities. We would like to see more of all of it. These alternatives should not be seen as subservient to the journal article genre — in the same way that interactive storytelling is not subservient to straight-news, inverted pyramid storytelling. We are not saying that academics ought to dispense with their treadmill workouts…er, with their journal articles. But we are saying that it is important to take alternative modes of communication seriously and value their contributions in their own right. Different forms of academic, and journalistic, writing complement each other in unique and productive ways. There is much intellectual creativity and personal engagement that can arise from expanding the storytelling toolkit. We live in diverse societies and therefore conflict is to a certain extent unavoidable. This applies to both the academy and journalism. Reporters and editors routinely choose between different stories. Even within a single story, they often hear different sides of it; sometimes the versions are complementary, while other times they can be polar opposites. To cope with this diversity, research on newsmaking conducted since the 1970s has documented a tendency among journalists to privilege certain stories over others, as well as certain sources and accounts within an article. Social scientists are not different: We have our preferred topics, theories, and methods. We sometimes accept alternative approaches as equally productive, but on other occasions think ours is the best and even that the alternatives are plainly wrong. To counter the shortcomings of a tendency to narrow down diversity that he observed in his landmark studies of news work, Herbert Gans proposed in 1979 the notion of “multiperspectivism.” Gans offered a very concrete set of proposals back then, and he updated them in a thoughtful essay published in 2011. But beyond the specifics of both texts, Gans’ idea is that journalists would do well by incorporating an orientation towards broadening the set of topics and voices represented in the news. By implication, this also meant housing competing viewpoints within the news report in inclusive rather than agonistic manner. In our approach to the volume, we were inspired by the notion of multiperspectivism and tried to include a broad spectrum of intellectual orientations. We also thought that any potential conflicts and disagreements that could arise were a potential source of intellectual innovation. Two areas of diversity and disagreement in the book are worth highlighting for this article. 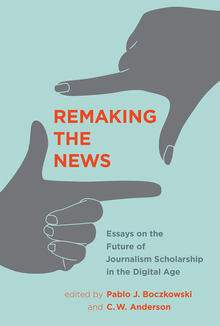 The first one has to do with the tensions between disciplinary and interdisciplinary approaches to the study of news — this is mirrored, to a certain degree, in the tensions between journalists and technologists in contemporary newsmaking. The second is between knowledge generated primarily with applied goals in mind, or mainly for scholarly purposes. Regarding the tension between “disciplinary” and “interdisciplinary” approaches, scholars in the first group (to generalize broadly) often frame their intellectual arguments in relationship to other pieces of scholarship that also focus on journalism. They often attempt to generalize about their findings in ways that allow them to build a common theoretical apparatus and advance the state of knowledge about the news. These scholars are building a discipline while making knowledge; thus they have an investment in the institutional vitality of the news media as a source of legitimation of their scholarly enterprise. The second group of scholars in the book, conversely, seemed more interested in “studies of journalism” rather than in journalism studies. These writers usually framed their journalism research as a case of something else — new media, political communication, cultural studies, and so on. Often, the chapters addressed other literatures as much as they addressed scholarship on the news. They also tended to include arguments for outward disciplinary connections rather than inward disciplinary growth, using journalism as a way of shedding light on cross-cutting social processes and phenomena. Instead of fostering confrontation or falling into the trap of adjudication, we favored a stance of welcoming these diverse approaches. We tried to make visible their different assumptions and fostered productive conversations among the various perspectives. In the academy as much as in journalism, the goal of multiperspectivism is to turn what David Stark has called “creative friction” into new ways of seeing the world. A second area of diversity and conflict present in the volume is between scholars who produce action-oriented media research and thinkers who conduct what some philosophers of science call “basic research.” This area cuts across the professional worlds of academics and journalists, since the former type of research is sometimes done either in part to engage professionals or wholly within industry and think tanks. It is also an old area of disagreement among both social scientists and journalists. In our book, it is addressed primarily in the chapters by Talia Stroud and Matt Hindman. Stroud focuses on the distinction between studies that help the bottom line and those that help the quality of democratic life. She argues that the tension between “democratically-useful and industry-useful research is often overdrawn, and even when it exists, that this conflict can be productive,” thus concludes by offering alternatives that satisfy both research aims. In a related vein, rather than bemoaning journalists’ use of reader metrics or claiming that this use somehow debases or diminishes journalism, Hindman accepts metric deployment as a given and tries to discover an ethical use for them. Both Hindman and Stroud problematize critical and practical approaches to the study of news, therefore showing how diversity becomes a source of conceptual innovation. Social scientists, like journalists, are in the business of sensemaking: finding out information about important phenomena and accounting for what happens in ways that are truthful and relevant to our publics. Academics, unlike journalists, study these phenomena but also build theories trying to find the logic behind them. The topics we choose and how we explain them tend to be shaped by the times we live in. So during the third quarter of the 20th century, when the industrialized mass media system was at its peak, scholars focused on issues such as the ability of the press to tell citizens which news stories to talk about, and the commingling of mass and interpersonal communication in shaping the effects of media on society. What emerged from that scholarly focus were both knowledge about media, culture, and politics and theoretical notions like agenda setting and the two-step model of influence. In the social sciences, theories tend to have an inertia of their own by helping frame the process of inquiry long after the historical conditions that led to their development change. During periods of historical discontinuity, and especially at the beginning of them, this leads to a nostalgic reflex that is both scholarly and normative: The new phenomena are made sense with theoretical approaches from the past — they are the only ones we have at our disposal at the time, after all — and their implications are assessed, often negatively, in comparison to what was the norm before. Thus a sizeable portion of the scholarship on online news has applied notions like agenda setting and the two-step model to the current environment and has found that it is much more difficult for the press to set the agenda now than before, and that the ascent of social media to the pinnacle of power in the new media ecology has added layers of complexity to the relatively simple two-stage process of influence. This has been tied to common normative assessments yearning for the glorious Watergate days, when the press could supposedly focus people’s attention on what was important and Facebook and Twitter did not pollute the public sphere with a tsunami of fake news. The problem with this kind of nostalgic stance is that it obliterates both theoretical imagination and practical possibilities. Overcoming nostalgia does not mean doing away with the conceptual tools and normative ideals of the past. It means not taking them for granted, and instead revisiting them in ways that do justice to the unique characteristics and potentials of the contemporary moment. For instance, how does the fact that most people access digital news from social media platforms and search engines affect the power of agenda setting by news organizations? Does the rise of personal publics on Facebook, Instagram and Twitter affect the influence exerted by co-located interpersonal networks and, if so, shouldn’t we think about a three-step flow, instead of the two-step process outlined by Katz and Lazarsfeld 60 years ago? Yes, the golden days of the industrialized mass media system played a part in Watergate. But would that system have contributed to the Black Lives Matter movement with the same efficacy that the use of social media platforms by activists and the public at large did? And while it is possible that the contemporary mix of news and social media contributed to a rise in the volume of false information during the 2016 electoral cycle in the United States, this mix has also been credited with contributing to loosen oppressive information regimes as in the case of the Arab spring. We need to assess both sides of the coin concurrently. Nostalgia provides reassurance and self-gratification, but it is also intellectually and socially stultifying. It is time to move on, make sense of the present by learning from history, not by clinging to it, in order to help shape more productive futures. If there is a common thread that cuts across these lessons about the value of diversity, the vitality of expanded storytelling options, and the importance of dispensing with a nostalgic stance is that they all challenge the certainties associated with homogeneous viewpoints, writing genres, explanatory models, and normative ideals. There is nothing inherently wrong with certainty; it can be quite productive, in particular during a period of historical stability. But, going back to the opening of this article, the contemporary context is marked by rapid and widespread innovation, including in the research about, and practice of, journalism. In the words that Michel Foucault penned for The Order of Things and that anchored the introduction of our volume, this context “restor[es] to our silent and apparently immobile soil its rifts, its instability, its flaws; and it is the same ground that is once more stirring under our feet.” This feeling of great transformations can be unsettling and paralyzing, yet also exhilarating and liberating. Above all, it reminds us that we are in the driver’s seat, and that perhaps we might not have the luxury of relying a whole lot on the routines and institutions that served us so well during the second half of the twentieth century. A renewed sense of agency might actually be the ultimate beauty of writing about our digital age. C.W. Anderson is an associate professor at the College of Staten Island (CUNY) and the CUNY Graduate Center. Pablo J. Boczkowski is a professor in the School of Communication at Northwestern University. Photo by HAT Triathlon used under a Creative Commons license. Anderson and Pablo Boczkowski, C.W.. "When certainties fade: The changing state of academic research into the changing world of news." Nieman Journalism Lab. Nieman Foundation for Journalism at Harvard, 12 Jun. 2017. Web. 19 Apr. 2019. Anderson and Pablo Boczkowski, C.W.. "When certainties fade: The changing state of academic research into the changing world of news." Nieman Journalism Lab. Last modified June 12, 2017. Accessed April 19, 2019. https://www.niemanlab.org/2017/06/when-certainties-fade-the-changing-state-of-academic-research-into-the-changing-world-of-news/.